Rudolph Kerkhoven describes himself as a man ‘forged by the brutal elements’ in his Yukon birthplace, where he lived for six months before moving, first to the Canadian prairies` and later to the Vancouver area of British Columbia. He is co-author of The Adventures of Whatley Tupper, and the soon to be released The Redemption of Mr. Sturlubok, both choose-your-own-adventure books for adults. You can find Mr. Kerkoven’s blog with links to his other works and nifty free reads on his website. Shan Won: It’s a country. It’s an internet rumor. It’s a hoax. It’s paradise. The economy is crashing, the government is unstable, rebellions and wars are erupting everywhere. If there were, maybe, a place you could go, a place where They Have Solved Everything - would you try to get there? What would you offer? What would you risk? What would you leave behind you? I mentioned to Al the other day that I was having a hard time writing this review. “This book is so good!”, I said, “I’m not sure what to write except, Everyone go read it. I’ll wait”. He suggested I might want to say something about the book, so here goes. There’s a joke told in Canadian Literature classes: Americans tell stories about people going out and conquering the west. Canadians tell stories about people who go out to conquer the west and get stuck in Manitoba. 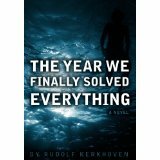 The Year We Finally Solved Everything is a very Canadian book. It’s ironic that I, the Canadian reviewer of this team of ‘Pals’ unknowingly selected it. And that’s perfect, because the irony doesn’t stop there. Take Richard, the narrator and protagonist of the story. Richard is a graphics designer who likes music better than pictures. He’s a pessimist who hopes to find an island paradise. He speaks when he knows he should be silent, and stays quiet when there are things he desperately wants to say. He’s complex, for all these reasons, yet in the end he’s simple: You (and he) know that given the choice, Richard will choose not to act, not to take responsibility even for himself. Kerkovian’s writing is flawless, his dialogue exact. The book’s pace is wavelike: Richard drifts tidally between each breaking moment. All characters and events are described through his distancing eyes. He notes everything, participates in nothing. You know the characters in the book as Richard knows them, precisely, accurately, but not intimately. The tension between the action - and a lot of stuff happens - and Richard’s dissociated description of it makes for a fraught atmosphere. By the latter part of the book I was feeling physically tense as I turned pages, waiting anxiously for “the next thing” - I knew it was coming, and I had no idea at all what it might turn out to be. And readers, you’ll have no choice but to go through that tension. Trying to ‘cheat’ and turn to the last page won’t help you a bit. You’ll go through it just as I did - as Richard does - step by indeterminate step. And, when you get to the end - well, just go read the book. I’ll wait. You needn't be Canadian to enjoy this book by any means, but you will likely enjoy it best if you can approach it with an open-minded appreciation of the pervasiveness of irony in the world. What can I say after a review like that? I'm off to read the book. Yes, this review is a great bookseller! Indeed, I already bought the book and I am reading it, read about 30% of it already. I am liking it a lot, it's really written in an interesting, and it really makes you want to turn the page. It sounds like a super interesting premise and definitely worth checking out. It's always a pleasant surprise to stumble upon a review like this. 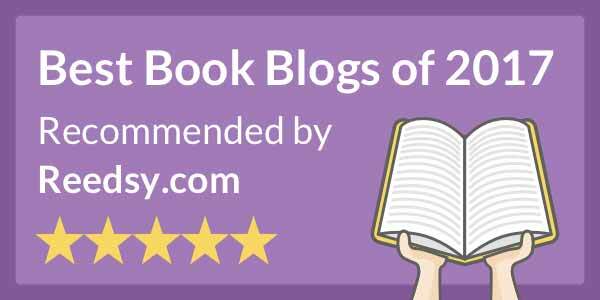 Thanks Ceallaigh for the nice review--I know the book is not for everyone, and it feels good to know that some people really enjoyed it. I put a lot of work condensing the original draft into something that I hoped was really sparse and yet succint. I'm glad you enjoyed it. Great to read this! I added this book recently to my "to be read" list over at The Indie 500 Booklist (http://thebookorbust.blogspot.com), and now I'm so glad I did. It sounds truly excellent. Thanks for this review. Well, I am convinced! Just looked on Amazon UK and it's on there for a bargainous (is that a word??) £1.43! I am purchasing as soon as I finish typing this comment! I picked up this book because of this review and I must say you nailed it. I really liked this book and like you I am having a really hard time finding words for why. It is really all about the writing. I loved this book, I could not put it down. What more can I say?! I have just finished reading this ebook and -although I'm not Canadian- I thoroughly enjoyed it. It's a real page turner. One thing that made this book less perfect for me, though, was the recurring language errors. This book could have been greatly improved with a thorough proofreading session: it's/its, breath/breathe, their/they're, lie/lay, ... I found myself wondering if English was the writer's mother tongue or not. Other than that, a great read!! !